Are You Receiving Or Have You Received The Proper Benefits? Do You Have A Disability For Which You Should Be Compensated? Do You Know As Much About Worker’s Compensation As The Insurance Company? The Law Office of Richard O. Greenfield P.C. represents injured workers before the Illinois Worker’s Compensation Commission throughout Northern Illinois. If our office accepts your Worker’s Compensation matter, you will, except in rare exceptions, be represented by Richard O. Greenfield and not another member of a firm or an associate. 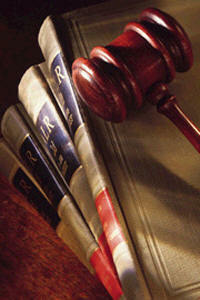 Mr. Greenfield personally handles all negotiations, trials and client inquiries. The Information contained in this website is intended for general information only and should not be acted upon without professional advice.